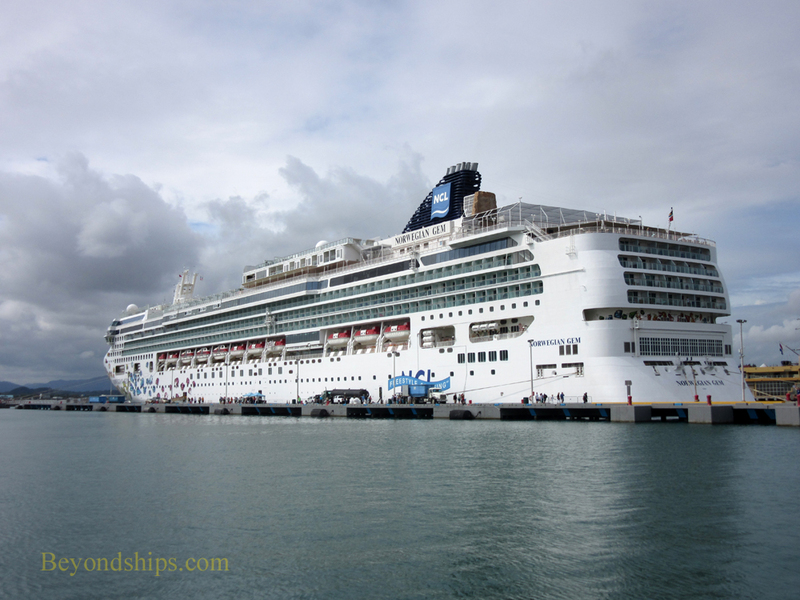 San Juan is both an embarkation port and a port of call. 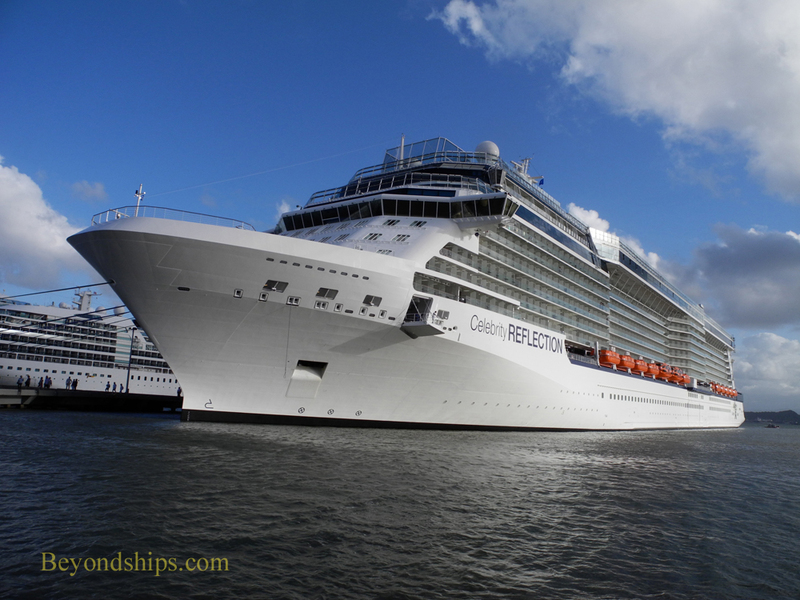 Consequently, many ships visit San Juan. 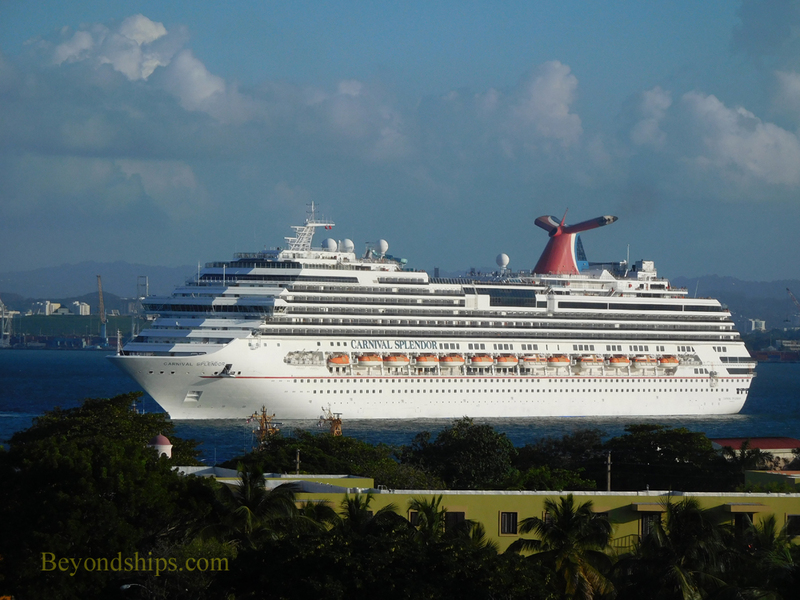 In this photo feature, we present photos of various ships seen in the port of San Juan, Puerto Rico. Above: Freedom of the Seas docked at Pier No. 2 in Old San Juan. 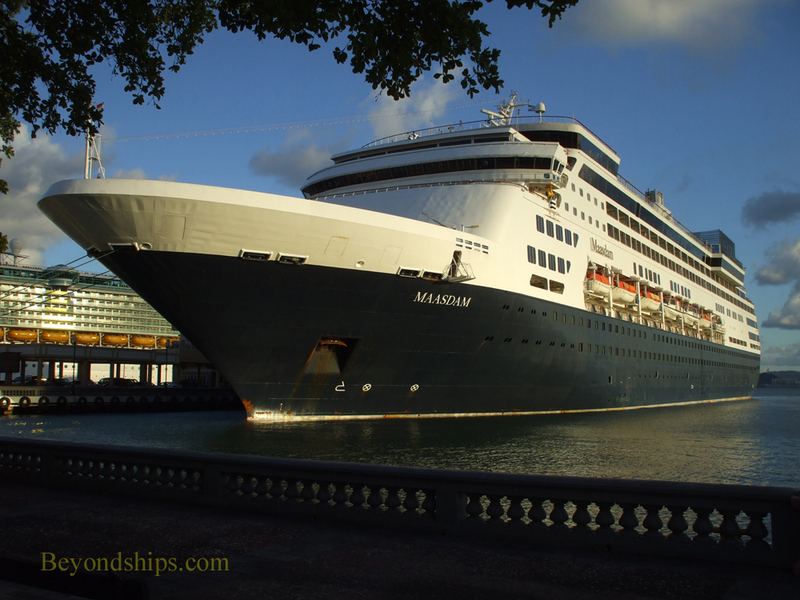 ​Right: Holland America's Maasdam at Old San Juan's Pier No. 1. 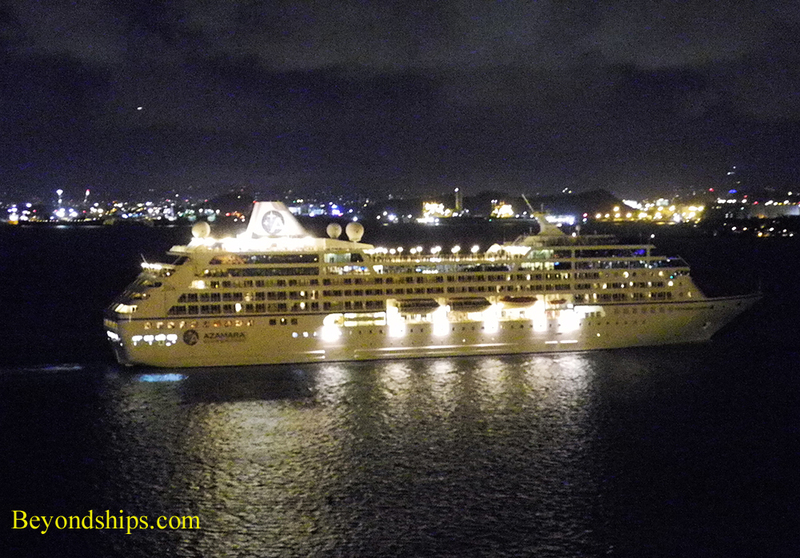 Above left: Azamara Journey leaving San Juan harbor. 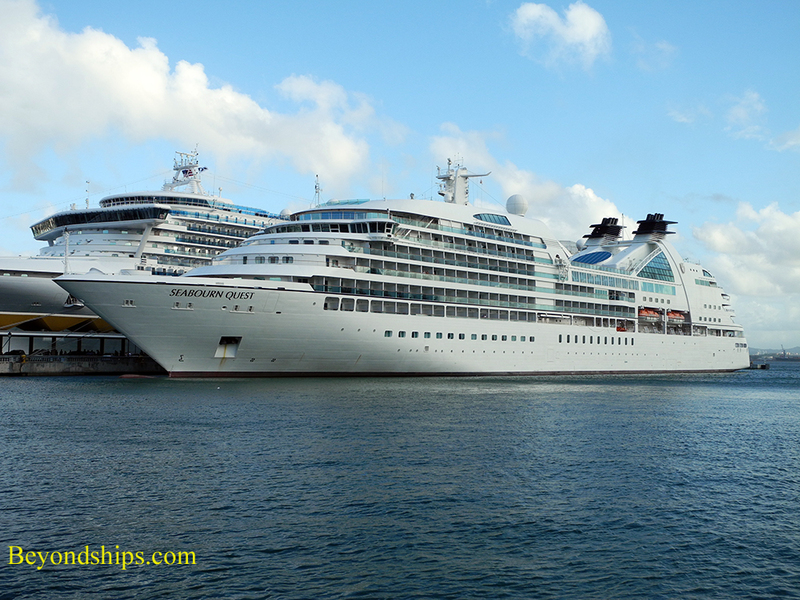 ​Above right: Norwegian Gem at Pier No. 2. 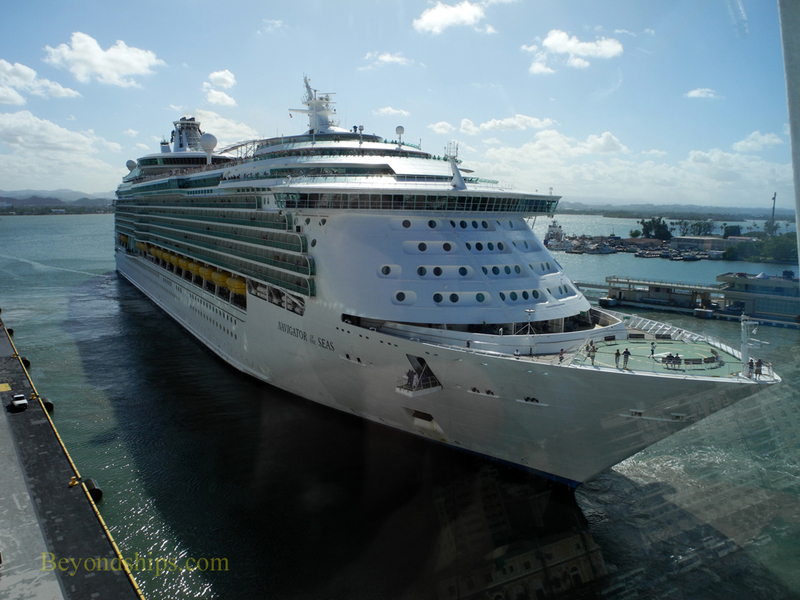 Right: Navigator of the Seas putting to sea.